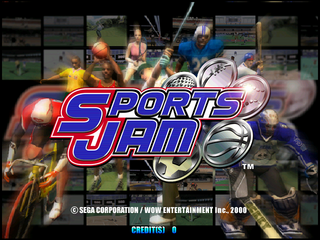 Sports Jam (スポーツ・ジャム) is a Sega Dreamcast and Sega NAOMI release containing a number of sports games. Main article: Sports Jam/Magazine articles. The announcer's character model consists of 18,357 polygons, including 17,183 polygons for the body and 1174 polygons for the shadow.